Please email me your mailing address within 48 hours so I can send your prizes. Thank you everyone for joining! 3 LUCKY WINNERS will have the chance to win Mischka Derma Secret Ideal Gift Sets for Christmas. This giveaway is open for Philippine Residents Only. Participants must join via Rafflecopter below and put each entry properly because we will be checking. First 4 steps are mandatory to join then you can do optional entries for more chances of winning. The winners will be notified via email you provided on entering and this blog post please do come back and check out if you won on December 15, 2013 at 11:00 am Manila time and must respond within 48 hours or a new winner will be picked. The prize will be sent by yours truly. Because I love beauty products, I wanted to have a beauty package consisting of lotion, soap, bleaching cream and BB Cream. Thank you for Joining ♥ Have a Beautiful Christmas! I love Body Scrubs,so I want the package D.
Thank you Ms. Rochelle for being generous all the time.You make us happy. Package S please, I want to try it po! Package D would be just perfect! Package D! hope to win.. I want Package D ^^ Thank you for this Giveaway!!! i want the package "M" if i win im gonna give to my ate,. I love the package M,just wishin' to win.. I want package "M". perfect Xmas gift set for me. I love package "m", thank you! done :) Wishing and hoping to win. More power & God bless! 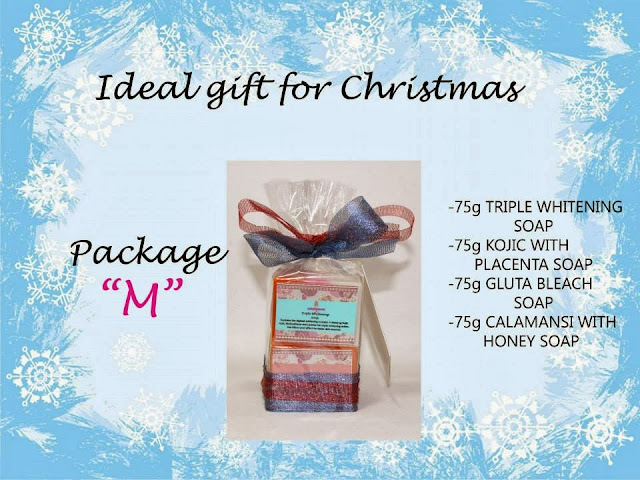 My Ideal Gift set is the PACKAGE M, i will share this to my family and relatives. Nice Gift for xmas!! !I'd love Package "M"
i want the package "D"
i want the package "M"
I like to try the powers of Argan oil, so I like Package "S"
I love the package M :) I want to try different facial soaps! I love and i want PACKAGE M :) I want to try different facial soaps! I honestly love them, love to share it with my siblings..hehe! Love it. Hope to win! Ideal gift set for me would be Package "M"
i love the package S!! so Ideal for Christmas Gift ..
Package S for me please..Complete package,hair to body. I want the Package "S" ideal and a perfect gift for a mother like me!! !hope to win! I would love to win Package S.. I have colored, thin and damaged hair and I know that the Keratin with Argan oil conditioner will really help me restore my damaged hair. Argan have alot of benefits, to name a few, it will help hydrate the hair in a natural way, will enhance the elasticity of hair, it also have a lot of natural anti-oxidants that will help strengten the weakend hair stands and it will heal split ends because it is also a good source of Vitamin E, omega 3 and 9 fatty acids... So I am really hoping to win! Yes it would definitely help your colored and damaged hair like mine. I really love the Keratin with Argan Oil Conditioner from Mischka Derma Secret too. I Like the Package D.
hope to win .. this will be the best gift for my sister this christmas !!!! Thank You Mam Rochelle for having this Giveaway!!! may the odds be on my favor to win this yay excited!! !